Negligent Security in Colleges and Universities | Hupy and Abraham, S.C.
As you walked home from the party, the library, or a campus event, you were attacked in a way that you thought would never happen to you. Now you sit in your room and wonder what to do next. 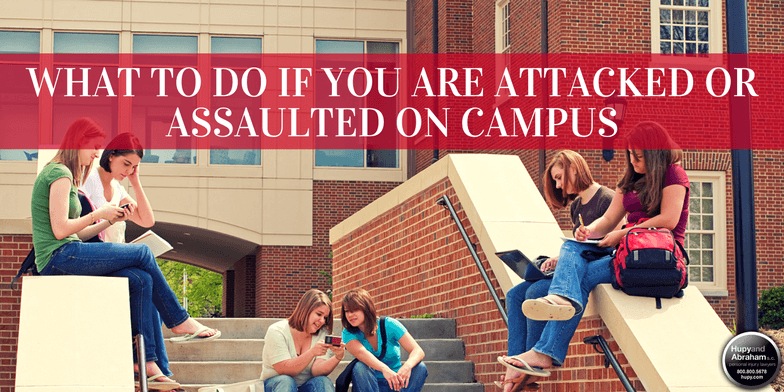 How can you go to class or go out with your friends when you are hurt and scared? Seeing a doctor today. Any cuts, bruises, or obvious symptoms must be taken care of immediately. Additionally, you may need to be tested for sexually transmitted diseases and other possible infections or complications from your attack so that you can get appropriate treatment. Finding someone to talk to about your attack. This may be a professional counselor, a friend, a relative, or someone else whom you trust to help you through this very hard time. Contacting a lawyer. You may not only have a claim against the person who hurt you, but also against the college or university that failed to provide you with adequate security. These steps may be difficult, but they are important to your health and your potential recovery. We understand that this is not something you want to tweet about or post on Instagram. However, you do not have to face the future alone. Instead, you can confide in one trusted friend or your parents, you can schedule a confidential doctor’s appointment, and you can request a meeting with a lawyer. Our attorneys have decades of experiencing helping personal injury victims get the fair and just recoveries that they deserve. We offer free, confidential interviews where we can help you determine whether your school failed to provide you with adequate security and we can help you recover from your negligent security incident if it occurred on campus or in another location. Please learn more about your rights in our free report, Negligent Security: What You Need to Know About It, and please start a live chat with us now to learn more.